Please, refer to the revised version: Developer guide: Cite your research. 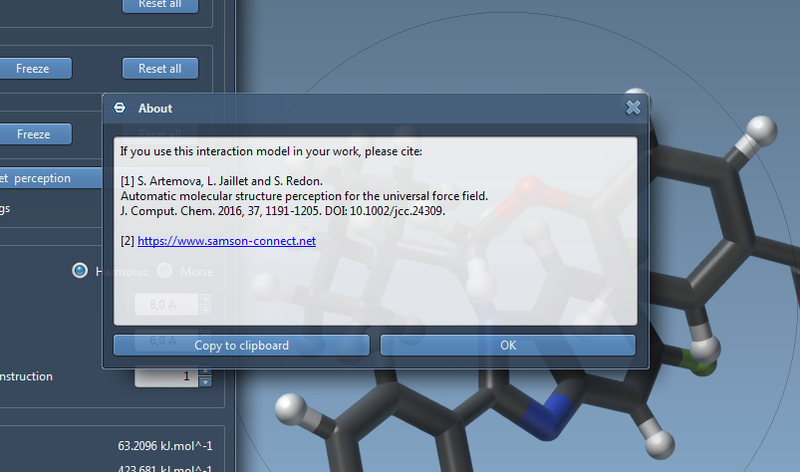 If a SAMSON Element corresponds to one or more research papers, you now have the possibility of letting users know about them.
" Automatic molecular structure perception for the universal force field.<br/>"
"    J. Comput. Chem. 2016, 37, 1191-1205. DOI: 10.1002/jcc.24309.<br/>"
Do you feel this should be used for something else? Providing help? Author information? Let us know in the comments below.